In the age of digital marketing, new companies often overlook the benefits of the print catalog. MARION’s print marketing team in Austin helps businesses create informative, practical, easy-to-use catalogs that meet the needs of their business. Clients use MARION-designed catalogs to open negotiations with distributors and to attract new clients. 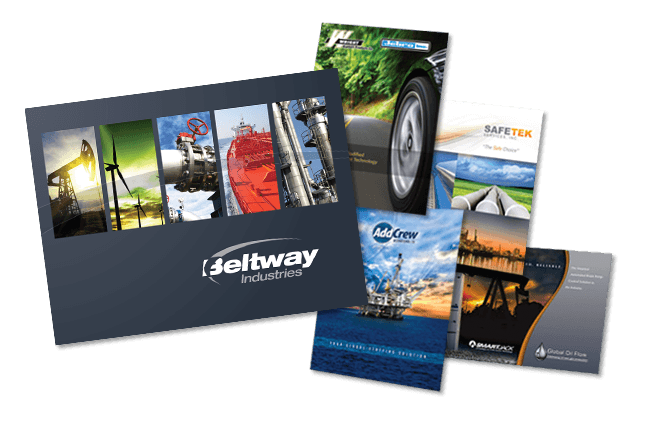 In addition to e-commerce, many manufacturers, inventors and wholesalers rely on traditional marketing such as print catalogs to inform industry colleagues about what they offer. Despite the movement toward online and electronic catalogs, on-the-ground sales agents regularly use paper catalogs in discussions with customers. Every client is different, and some simply prefer to flip through the pages of a traditional catalog to get a sense of the company’s offerings or to find a specific item. For many, a paper catalog is still easier to use than an e-commerce site that is difficult to navigate. A sales agent can back up their pitch with a tangible document, making the process more memorable and future orders more likely. Customers already familiar with the e-commerce site may also find that it’s quicker to browse through the paper catalog. Developing marketing strategies with both business-to-business and business-to-consumer entities, MARION has created catalogs that make the sales process easy. Dedicated to promoting your brand, MARION will work with you to develop a catalog that targets your preferred reader and tells the story of you business. Ready to learn more? MARION is pleased to offer a free consultation. Check out some of our print design work.